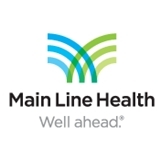 Main Line HealthCare in Lafayette Hill (Lafayette Hill) - Book Appointment Online! Dr. Calbot-Sczepanski was very professional and thorough. She had a very caring attitude and showed interest in solving my issues with follow-up. I highly recommend her. I had no wait at all when I got to the office and the staff is great! Dr. Chung was awesome, she spent a ton of time with me discussing my reasons for seeing her. I didn't once feel rushed during my time with her.